Download and unzip the ‘Mammoth_Child_Theme_UNZIPME.zip’ file to your computer. Locate the mammoth_child_theme.zip file in the Mammoth_Child_Theme_UNZIPME folder on your computer and then click Install Now. 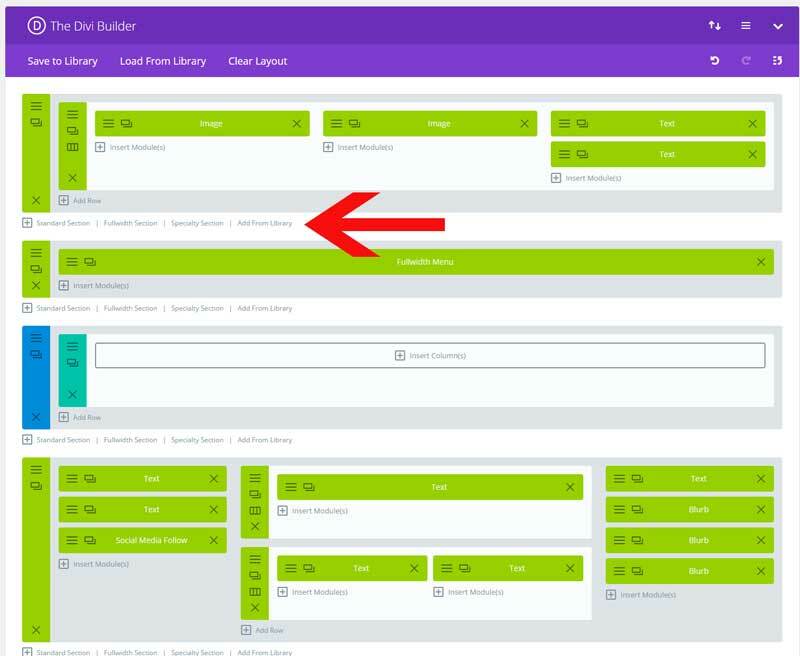 When the install is complete click on ‘Activate’, you will then see the Mammoth Child Theme as the active theme in your theme panel. 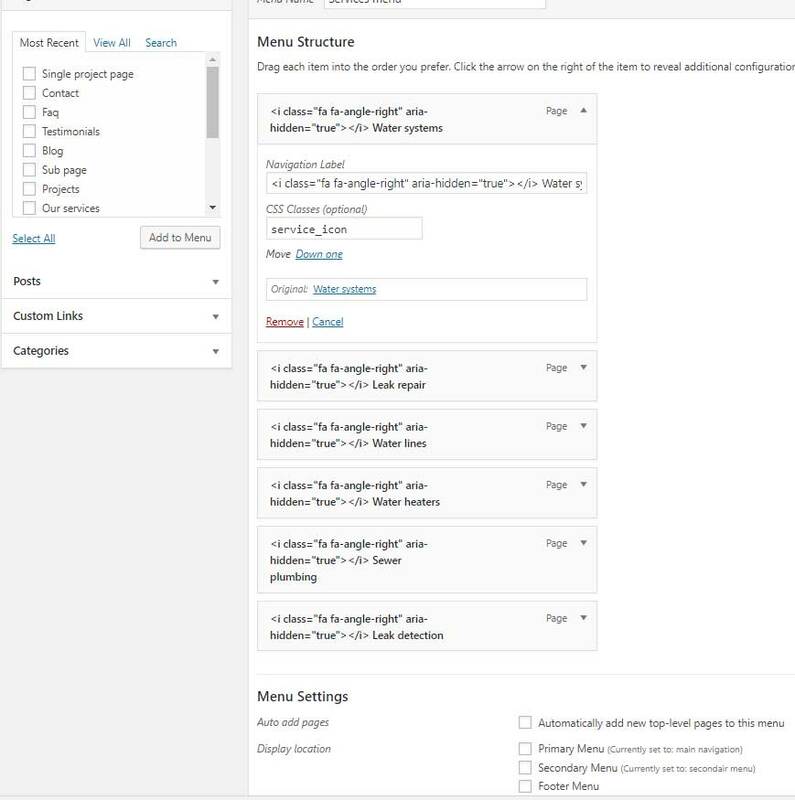 Click on Import and upload Mammoth Theme Options.json. Click on Import and upload Mammoth Customizer Settings.json. 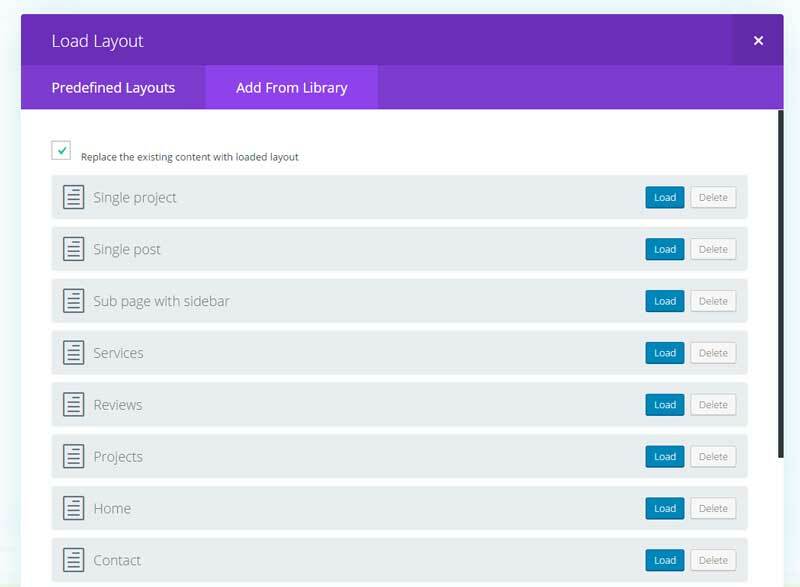 Click on Import and upload Mammoth Builder Layouts.json. 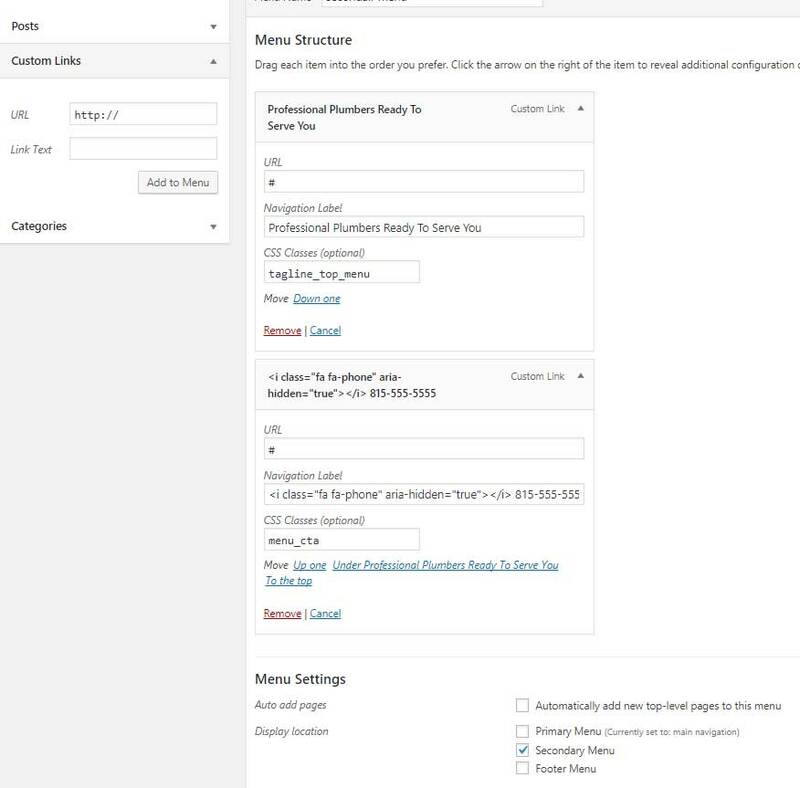 Create a custom link, in link field you can fill in #, in the link text field your tagline. If you don’t see the class field then you need to enable this. 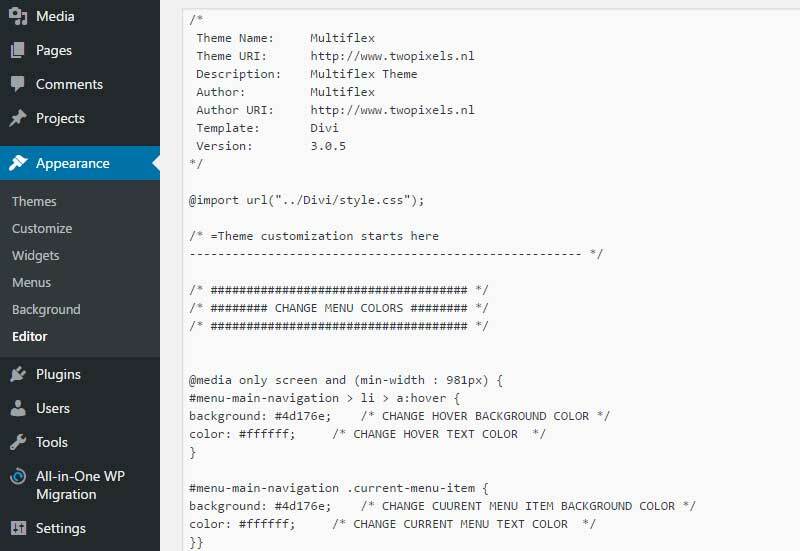 Go to the top of your screen and click on screen options, now you can check CSS classes. Create a custom link, in link field you can fill in #, in the link text field your phone number. To add the arrow icon follow this link and copy the icon code, then place it before each menu item. In the demo I use an overhanging logo. The logo floats over the top bar. If you don’t want this then you can do the following. Assign this sidebar to your services pages. Under CHANGE COLORS you can swap the color codes. Click on Add From Library and load Sub Header. Do the same with Bottom CTA Global and Footer Global. 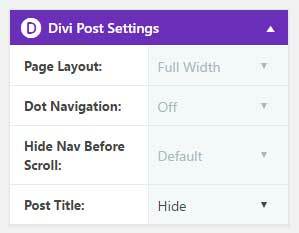 To edit the content of the 404 and the blog category page, you go to Divi > Divi Library.